Porches can be bland and lifeless and might not seem like the place to update when thinking about improving the aesthetics of your property. The first thing people see when they come to your door is your porch, and it can make a good or bad first impression. If you’re looking to update your outdoor space the perfect place to start is the porch. D&G Cement Co. can update or completely replace your existing porch to be more visually appealing while still being durable and long lasting. Cement porches can be updated in a variety of ways. There are simple methods like painting or resurfacing or more involved methods like starting from scratch. Porches can be made decorative through a stamping process which gives the appearance of another material but still being cement. It can look like wood or stone, be patterned and colored and so much more. You can also change the shape of your porch completely! If you want to update your porch look no further than D&G Cement Co. 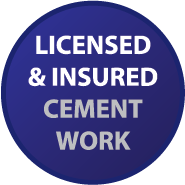 Here at D & G Cement Co. we’ve been providing outstanding concrete services for over 50 years to the metro Detroit area. Are you interested in learning more about cement porches? If you are thinking about it, or have any questions, you should schedule an appointment to talk about our many products, costs and options and get an estimate for your home or business. To learn more about driveway updates, walkways, driveways, cement floors, foundations and the rest of our products and services give us a call at (313) 277-2676.